You’ve probably noticed from previous postings that Once Upon A Time is a new show that we’re quite excited about around here. The show premieres very soon – October 23, 2011 – and to get people psyched for the first episode, ABC has released a series of character/actor introduction videos related to the series. So far the videos released include the series’ “Snow White,” “Prince Charming,” “Evil Queen,” “Jiminy Cricket,” and “Emma.” What, no Big Bad Wolf? You can see the videos below, and keep coming to KSiteTV in the coming week to find several more Once interviews in addition to the ones we’ve posted earlier this week. 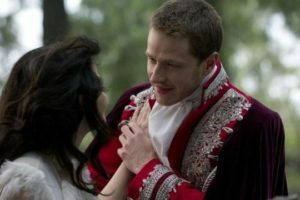 You’re also all invited to our Once Upon A Time forum where the countdown to no more happy endings has begun!